National Board of Education (NBE) has begun the application process for NEET PG 2018. The online registration began on October 31, 2017 and will continue till November 27, 2017 (till 11:59 pm). The exam will be conducted on January 7, 2018. NEET PG is a nationally conducted entrance exam for admission to various MD/MS, and PG Diploma Courses as per section 10 (D) of Indian Medical Council Act, 1956. It is the single entrance examination for Post Graduate Programmes. The syllabus will contain various topics of subjects or knowledge areas. The syllabus will be prescribed by the Medical Council of India (MCI) with prior approval of Government of India. The syllabus will comprise of topics like Anatomy, Ophthalmology, Physiology & many others. Students should prepare as per the syllabus to score well in the examination. Candidates will have to go to NBE official website (www.nbe.edu.in). Candidate will have to register through the registration link. To register candidate must have a valid email id and mobile number. After registration, candidates can login to their account and complete the application process. The application fee for NEET PG 2018 for SC/ST/PWD candidates is Rs. 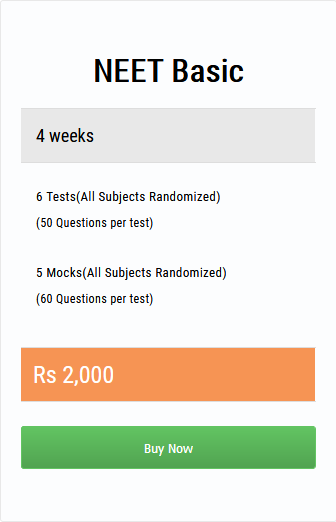 2750/- and for General and OBC category candidates is Rs. 3750/-.